The Ottawa First Book contains lessons for those seeking to learn the Ottawa language. 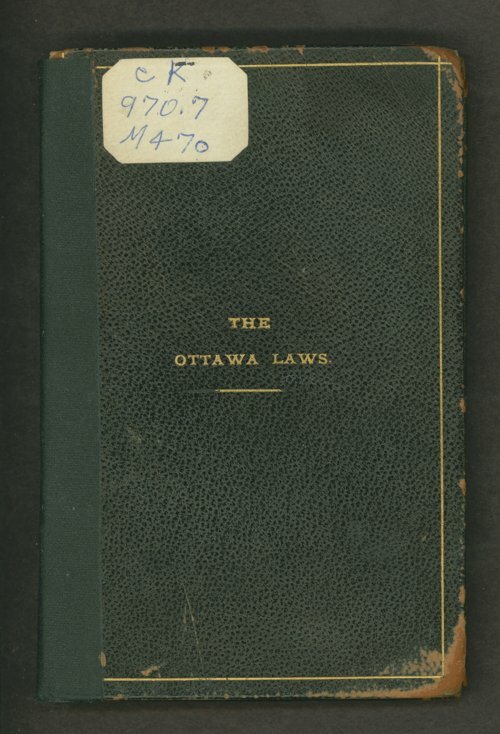 It also contains portions of the gospel of Luke and the laws of the Ottawa Indians. The laws begin on page 102. One page in English and the other in the Ottawa language. The book was published by Jotham Meeker, a Baptist missionary. Pages 56-57 are stuck together.